After performing more than 80 coaching sessions with my Growth Hacking Academy in 2017, I realized that I need a scaling product to be able to infect more people with the Growth Hacking spirit. A regular bootcamp-workshop means a lot of effort with planning, ticket selling, traveling, bootcamping, follow-up mailings etc. 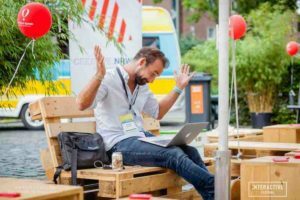 Although the results were fantastic with more than 1.100 satisfied bootcamp attendees only in Germany last year, it was much too exhausting. Like for many other marketers and agencies my first idea was to start my own Growth Hacking conference. The first in Germany. But, sorry no – this is boring, right? Next idea. Let´s do it completely in English and with the best international Growth speakers to increase cross border reach and to increase the quality of the content. 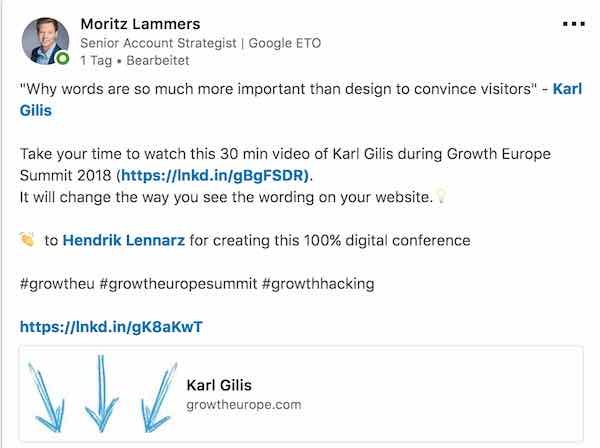 There is not that much going on with Growth Hacking in Germany. Much better? Maybe, but a real conference is a high financial risk. Above all, for myself as an only 1 year old startup that still has to pay everything from the cashflow. Last idea. 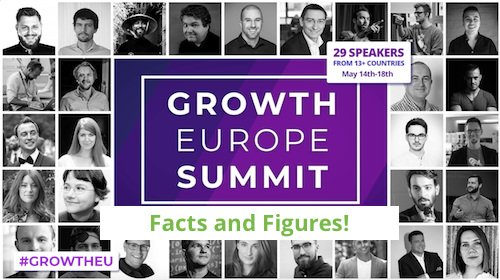 We´re starting the Growth Europe Summit, 100% in english, 100% Top international Growth speakers and 100% online. No risk, but fun! That´s it. 4 months of preperation time. 25 awesome international Growth Hacking coaches. A brandnew digital platform and a very small but curious team with Victoria, David and myself. Now, two weeks after the last session of the Growth Europe Summit, here are the results. User feedback like this is what really counts for Growth Hackers and Product managers who launched a new product. It´s worth it. We tried to measure the performance of our project with the AARRR-/Pirate metrics framework. Yes, you´ll see my real data from my analytics dashboards. Growth Hackers love sharing, so that others can learn. 30 VIP tickets were sold with the automated upgrading campaign before the Summit started. During the summit there were no extra campaigns, mails or something, because we focussed on activation and retention. Unfortunately, we didn´t focus on pushing the referral channels. On day 1 and 2 we had a lot of attention. Only Talia Wolf´s Facebook Livestream had 3.200 views on Facebook and 437 views later on in our platform. Maxime Pico´s talk 225 clicks. Nils Kattau´s Livestream had 1.400 views on Facebook and 158 later on in the platform. All other sessions had between 140 and 170 clicks across the whole week. We´re Growth Hackers. That implies, that we are addicted to testing, learning and improving. There were so many people asking “Are you satisfied?”, “How was the result?” and so on. All important things went out smoothly. Of 29 speakers, 25 delivered their video-session just in time. 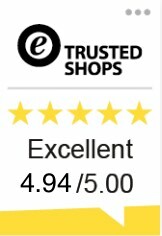 The quality of the sessions were incredible, according to the user feedbacks and my personal feeling. The technical platform was ok. The international reach was great. We had people from Slovenia, Netherlands, Italy, Spain, Poland, Norway, France, Belgium, Denmark, Switzerland, Austria, US and Germany on our platform regularly. That was amazing and not really expected, honestly. I took the decision to build the whole tech-stack completely by myself. That was a challenge. For example, I fought the last 3-4 days before the summit started, with an ad-hoc user migration from eventbrite to digistore24. Believe me, it was a showstopper and I had to do it. Instead of focussing on the marketing campaigns to activate the users. This should have been my focus, but….Ahhh! Next. The user engagement. For the first time executing the Growth Europe Summit. I´m really satisfied with the number of people that watched 2 to 5 sessions. But the engagement to the session with comments, questions and likes was really bad. There was almost nothing. We tried to do everything in our Facebook group, but no chance. The gap between the event platform and the facebook group was too big, obviously. In contrast to the Facebook livestream sessions, where a lot of comments, likes and questions showed up. Nice and a learning, right? Then last and least. If we have a look on the business model. Lucky me, my goal was not to directly earn money with the conference. Instead, I wanted to infect as many people as possible across Europe with the real Growth Hacking spirit. Why? Because I believe in the importance of the Growth Hacking spirit and I know, that my own Growth Hacking academy will grow automatically if there are more and more product managers, ecommerce-, startup- and marketing guys infected by us. That is my main focus. One more. Timing. Due to the ongoing GDPR-projects, myself and a lot of attendees didn´t have the time to watch all or more sessions in the conference week. Moreover I didn´t have the time after the summit to focus on this recap, unfortunately ;-). Thanks to GDPR. But, good news: If you want to watch all video-sessions whenever and as often you want, have a look at your VIP-ticket (30€ discount only with this link!). As a special offer, you´ll receive all sessions as downloadable MP3-/ Audio file too, so that you can listen to them via your mobile or podcast-app. Next: Next post: What the F**k is Growth Hacking?